The slightest change can have a powerful effect on the harmony of the face. Confidently assess your progress during surgery and never miss the mark. Custom-designed for your case in less than 10 days to give you the best reference tools available. No more fuzzy 2D pictures. Let’s eliminate guesswork. From preoperative planning to intraoperative decision making, models and guides that are patient specific are the most reliable reference for reducing guesswork and making soft tissue outcomes more predictable. The best outcomes require better planning. You aim for perfection. We give you precision. 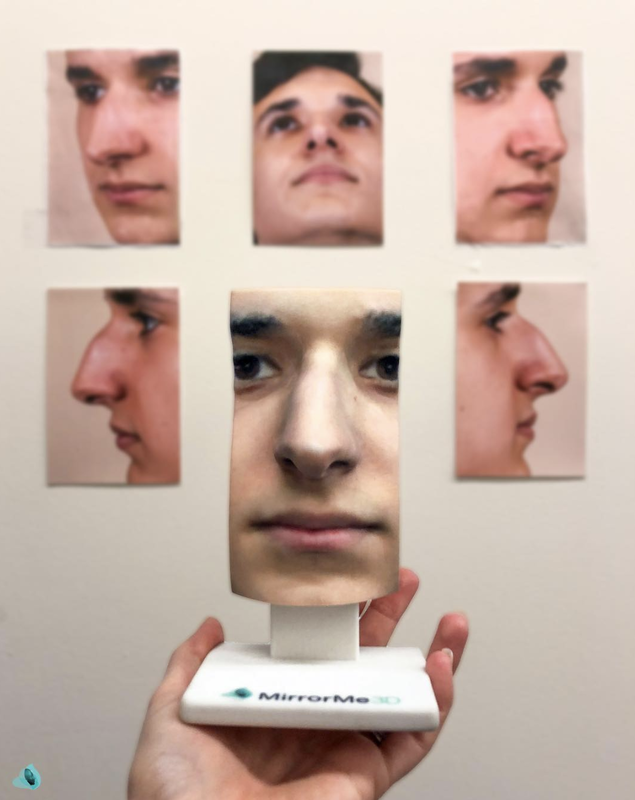 RHINOPLASTY MODELS: Featuring the key operating areas of and around the nose, rhinoplasty models help surgeons plan for surgery and simulate the procedure. 3D FULL FACE MODELS: Full face models also help surgeons plan for surgery with applications to orthognathic, reconstructive, and cosmetic procedures. PERIORBITAL MARKING GUIDE: this guide is an injection marking template depicting a topographic map and facial asymmetry. We give you tools that are 1:1 in anatomical accuracy as compared to your actual patient. 2D photos, often times used as a substitute, lack clarity and important detail that can only be understood through a 3D reference. Last year, we worked on over 200 cases with surgeons who wanted better references and guides for increasing efficiency and optimizing outcomes. Rely on one of our standard models or guides ranging from rhinoplasty guides to facial reconstruction models. Have an idea of your own? We can usually handle those, too! Once we’ve completed a few cases with you to give us insight into your process, we can work with you on creating guides specific to your method for achieving the best results possible.